Early research on a new approach to protecting against malaria is offering promising, potentially long-lasting results against the persistent parasite that sickens hundreds of millions people each year. The approach uses a cytomegalovirus-based platform that’s already being used in vaccines being developed to battle HIV and tuberculosis. 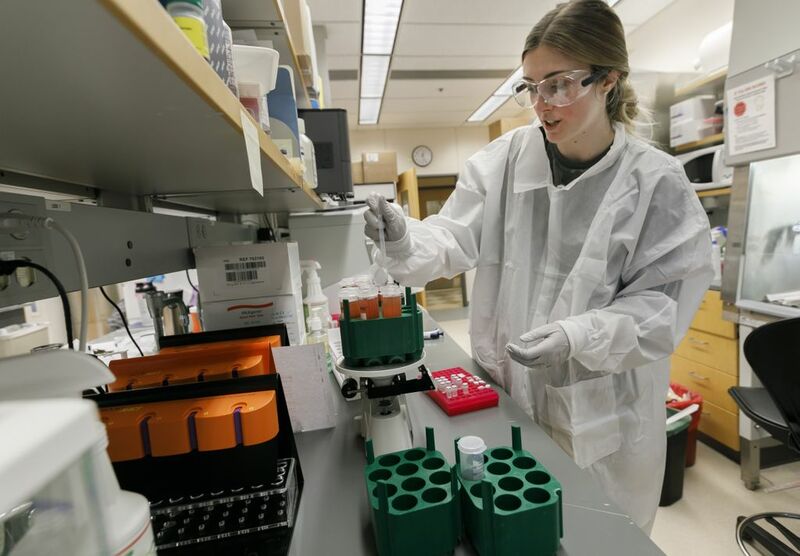 This new vaccine reduced the malaria-causing parasite’s release from the liver and into the blood of infected rhesus macaques by 75 to 80 percent at the Oregon National Primate Research Center at OHSU, reports a paper published in the journal PLOS ONE. Malaria is a serious and sometimes fatal disease caused by Plasmodium parasites, which are spread to humans through mosquito bites. It can cause high fevers, shaking chills, flu-like illness and, in the worst cases, death. Worldwide, 216 million people were infected with malaria in 2016, leading to 445,000 deaths. The vast majority of infections occur in Africa. The decades-long search for an effective malaria vaccine has been challenging. The World Health Organization is using one vaccine – known as RTS,S/AS01 or by its brand name, Mosquirix – as part of new, routine vaccination programs in three African countries. But RTS,S has been shown to only reduce malaria transmission in children – in whom malaria is most often fatal – by 39 percent four years after it was administered. Its efficacy was further reduced to 4.4 percent seven years afterward. Vaccines against viruses and bacteria typically have protection rates of more than 90 percent. Most vaccines are designed to encourage the human body to respond to invading, disease-causing pathogens by creating antibodies that disable those pathogens. OHSU’s new vaccine takes a different approach by using a weakened form of a common herpes virus – cytomegalovirus, or CMV – that infects most people without causing disease. Früh and colleagues weave tiny bits of their target pathogen into CMV. Those who receive the resulting, re-engineered CMV vaccine produce memory T-cells that can search for and destroy pathogen-infected cells. Studies have shown this approach enables vaccinated nonhuman primates to develop and maintain a high state of immunity years later. 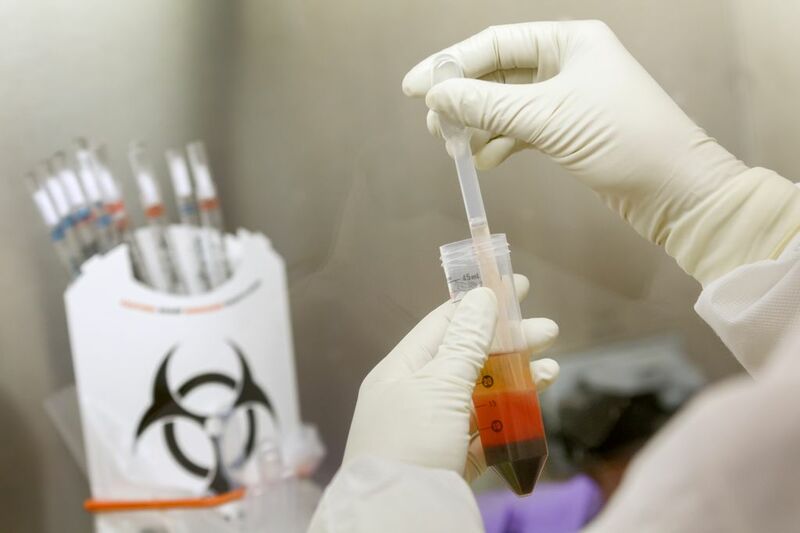 The CMV vaccine platform has been licensed by Vir Biotechnology, Inc., of San Francisco, which plans to lead a human clinical trial for a CMV-based HIV vaccine in the next 12-18 months. The same basic platform is also being used in a new TB vaccine, and is now the basis for this malaria vaccine. Früh and colleagues pursued a malaria vaccine because they noticed the memory T-cells their CMV-based vaccine produce exist in high concentrations in the liver, where the malaria parasite hides out shortly after infecting a human. They developed two different versions of their CMV-based malaria vaccine while using four different proteins made by the Plasmodium parasite. The resulting vaccines delayed the parasite’s appearance in the blood of 16 infected and vaccinated rhesus macaques by eliminating between 75 and 80 percent of parasites from the liver. A year later, the vaccinated nonhuman primates still had immunity against malaria, while eight control animals that weren’t vaccinated did not. In an effort to make their vaccine 100 percent protective against malaria, the research team will evaluate 15 different Plasmodium-made proteins for the vaccine. They will also examine combining their CMV-based vaccine with other experimental vaccines or the existing RTS,S vaccine. The study was a collaboration between OHSU, the Naval Medical Research Center, National Institutes of Health and Fred Hutchinson Cancer Research Center. This research was supported by the Military Infectious Diseases Research Program (grant F0351_12_NM) and the National Institutes of Health (grants R21AI103498, RO1AI059457, P511OD011092, R24 RR016001, HHSN 2722000900037C). In our interest of ensuring the integrity of our research and as part of our commitment to public transparency, OHSU actively regulates, tracks and manages relationships that our researchers may hold with entities outside of OHSU. In regards to this research, OHSU and Drs. 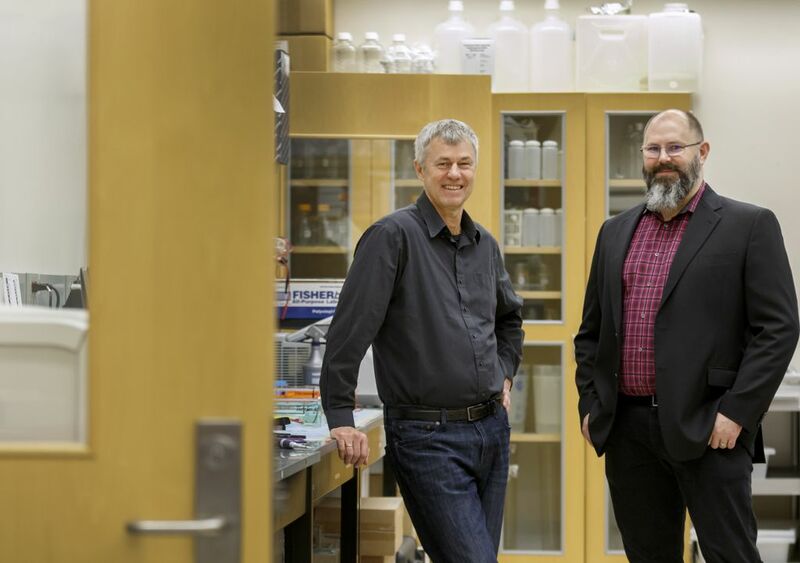 Fruh, Picker and Hansen have a significant financial interest in VIR Biotechnology Inc., a company that may have a commercial interest in the results of this research and technology. REFERENCE: Scott G. Hansen, Jennie Womack, Isabel Scholz, Andrea Renner, Kimberly A. Edge, Guangwu Xu, Julia C. Ford, Mikayla Grey, Brandyce St. Laurent, John M. Turner, Shannon Planer, Al W. Legasse, Thomas L. Richie, Joao C. Aguiar, Michael K. Axthelm, Eileen D. Villasante, Walter Weiss, Paul T. Edlefsen, Louis J. Picker, Klaus Früh, “Cytomegalovirus vectors expressing Plasmodium knowlesi antigens induce immune responses that delay parasitemia upon sporozoite challenge,” PLOS One, Jan. 23, 2019, https://doi.org/10.1371/journal.pone.0210252.